Our members will be aware that the International Federation for Research in Women’s History, to which the Women’s History Association of Ireland is affiliated, holds a conference every 2-3 years. Every five years, the Federation meets as part of the International Congress of Historical Sciences (ICHS/CISH) to which it, in turn, is affiliated. 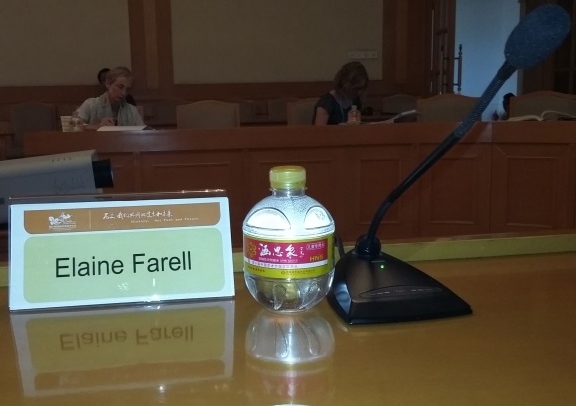 In August 2015, the CISH (and therefore the IFRWH) conference was held in Jinan, China. Although it has a population larger than the Republic of Ireland, few people I spoke to in advance of my trip had heard of the city previously. Online searches had served only to warn me of humidity, mosquitos and pollution. A Chinese woman at a cosmetics counter, seemingly in an act of pity, had given me free samples upon hearing where in China I was bound! My expectations, therefore, were not particularly high as I departed Belfast. Thirty-two hours of travelling and layovers, and three flights later, it became apparent that no amount of free cosmetics would render me in any way presentable for anything other than bed for several hours! 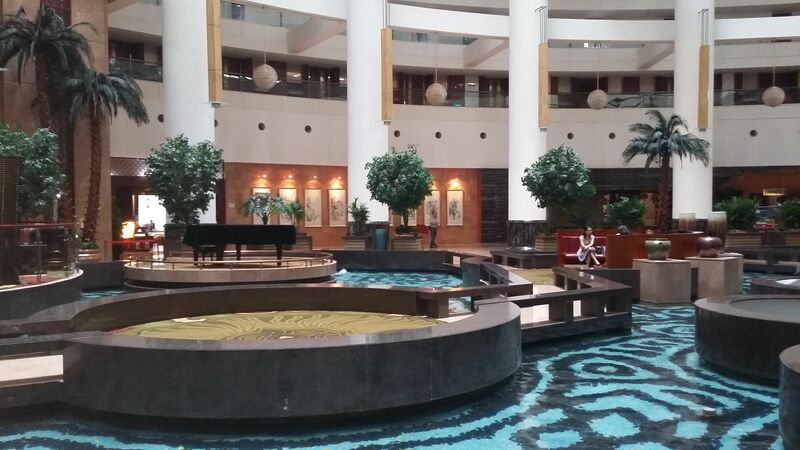 The conference panels and most of the receptions were held between the impressive Shandong Hotel and the Nanjiao Hotel next-door. 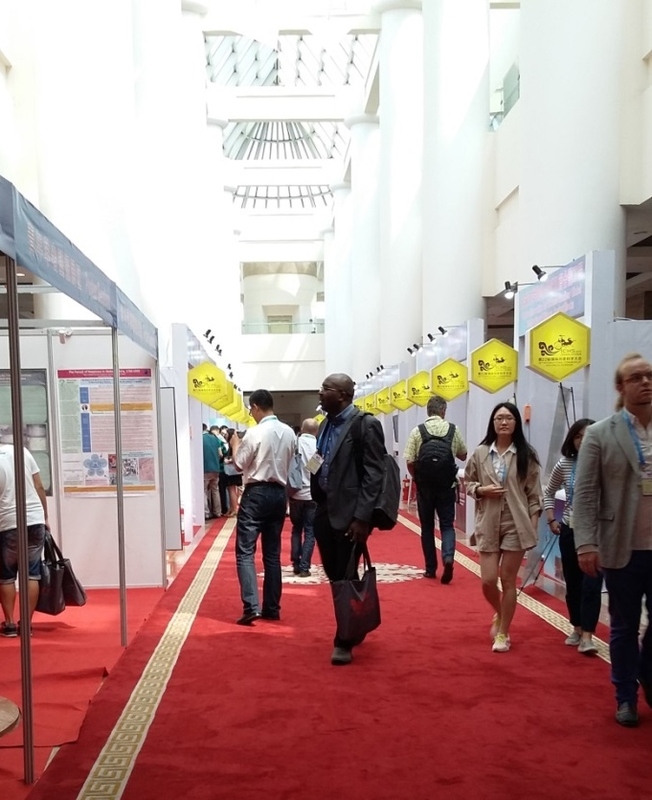 The atmosphere at the conference as a whole was extremely collegial, and amongst the 2,700 delegates I met wonderful individuals from Australia, England, the US, Finland and Switzerland, as well, unsurprisingly, as several China-based scholars. 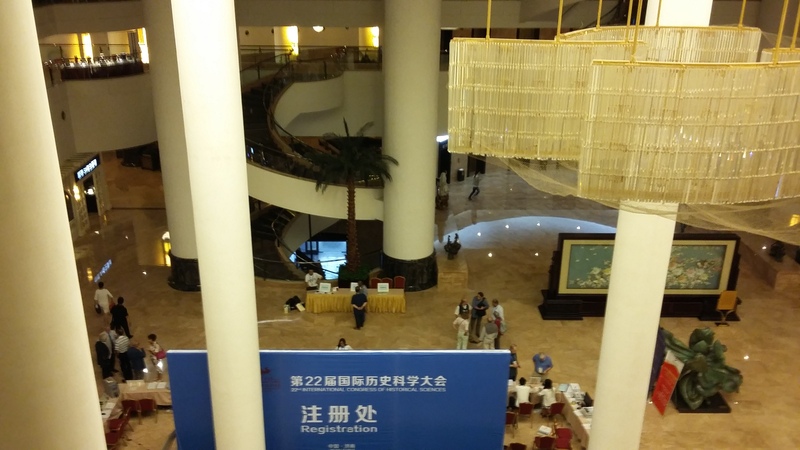 Around 500 volunteers, mostly students, were on hand to assist delegates with registration, room directions, and local tourist sites. Many, although not all, were history students. Some were from the nearby Shandong University and others had travelled to Jinan from all over China. One volunteer to whom I spoke told me that some of her colleagues had been preparing for the conference for almost a year! Another furnished me with postcards of Jinan, which are now taped to my office wall. Those volunteers made the conference a very friendly affair and their efforts were very much appreciated. The panels that I attended were extremely interesting and inspiring. Some stand-out sessions for me include a double session on ‘Women’s history at the cutting edge’, organised by Karen Offen and Yan Chen. Panellist Joanna de Groot encouraged engagement with theory. She noted that sometimes women were the privileged and the oppressors and that these historical women should not be ignored. June Purvis highlighted features of British women’s history, such as its focus on modern history, and the lasting interest in the suffrage movement. Chinese women’s history by Chinese-based scholars was not a particularly common feature of the programme because, we learnt, women’s history is not particularly well supported there. Ironically, the title of the panel had initially been translated into Chinese as ‘Marginalised women’! Other panellists provided the assembled audience with an overview of the status of women’s history in Canada, the US, France and Japan. Although Twitter and Facebook (along with Google) are blocked in China, I was able to email information to our president, Jennifer Redmond, who in turn tweeted members from our @WHAIreland account. June Purvis highlighted features of #wmnhist in UK at #IFRWH. @WHAIreland members, what are some features in Ireland? 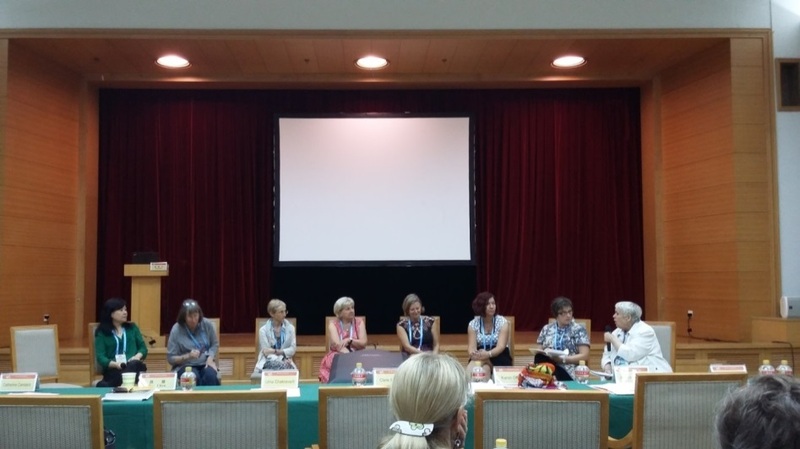 A panel organised by Mary O’Dowd, entitled ‘Towards a global history of the girl’, attracted a large audience and included papers about girlhoods and adolescence in Australia, China, Britain and Nigeria, amongst others. Discussions about the age of a ‘girl’ and the transition to adulthood demonstrated that ideas about girlhood ending on marriage do not translate across countries and continents; such a definition is entirely inappropriate in a Nigerian world of child brides, for instance. Similarly, the suggestion that girlhood ended on full-time employment ignores the fact that many industries, including those in Ireland, were heavily reliant on adolescent girl workers. 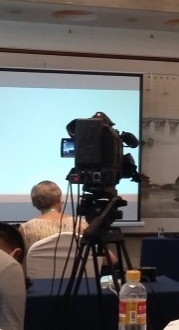 An unusual feature of the conference was the constant photography and filming that took place during each panel session as well as the formal and informal receptions. It remained unclear if the footage was to be shared with delegates after the event. At the IFRWH business meeting, Professor Eileen Boris (University of California, Santa Barbara) was nominated and elected President, replacing Clare Midgley who received a standing ovation for her work as IFRWH President. The next CISH conference in 2020 will be held in Poznan, Poland, although an interim IFRWH conference (precise location tbc) will be held in 2018. The WHAI will keep members up-to-date on the details through the regular mailshots. And then my return journey began. I was educated on various aspects of women’s history, inspired by the papers I’d heard and the people I’d met, and just a little tired of buffets. I didn’t get to experience much of Jinan but what I saw, such as the Mountain of a Thousand Buddhas, I really liked. And I didn’t see a single mosquito! A day and a half later I was back in Belfast. I went to the local Chinese for dinner.